Early in Process Theology Bruce Epperly quotes the reminiscence of J.M. Whittaker on attending Whitehead’s Gifford Lectures. Whittaker observed that while the attendance was initially about six hundred, that quickly dwindled to half a dozen people due to the incomprehensibility of Whitehead’s presentation (11). 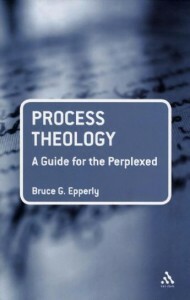 In acknowledgement of the fact that process theology has long been hampered by overly technical terms and obscure metaphysical analysis, Epperly opts instead for familiar terms and concrete and practical examples. On that score the book succeeds admirably as an introduction to process thought, surpassing even John Cobb and David Ray Griffin’s Process Theology: An Introductory Exposition (The Westminster Press, 1976). Over ten chapters Epperly introduces us to process theology (chapter 1) and summarizes its interpretation of major Christian doctrines including God (chapters 2, 4), Christ (chapter 3), humanity (chapter 5), ecclesiology (chapter 8) and eschatology (chapter 9), while also including additional chapters on science (chapter 6), ethics (chapter 7) and the future of process thought (chapter 10). Given the winsome nature of the presentation, the reader will have to read carefully to appreciate just how radical a deviation process theism is from orthodox Christianity. For example, it denies creation ex nihilo (98), the unique incarnation of God the Son (65, 68), Christ’s miraculous bodily resurrection (75-6), the Trinity defined as one God existing eternally in three distinct persons (77, 81), the doctrine of a sin nature (89), and the unique revelatory status of Christianity (123). As for eschatology, Epperly states rather baldly, “If humans choose the pathway of self-destruction, God will nurture other streams of evolution on earth and other planets.” (99, cf. 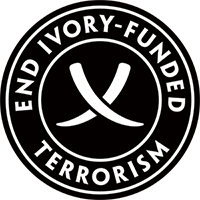 132) That’s it? No more humans? In light of that statement it is not surprising that process theism has no doctrine of the second coming of Christ or the general resurrection. And yet, as open as the future may be, process theism does explicitly reject the possibility that hell may be a part of it (147). Given that process theism represents such a radical shift away from orthodoxy, it is disappointing that Epperly’s presentation of mainstream orthodox theology tends toward caricature and oversimplification. For example, Epperly suggests that mainstream orthodoxy construes miracles as “violations” of natural law (60) when this is really a Humean construction. In addition, Epperly suggests that a unique metaphysical incarnation would “diminish” the humanity of Jesus (68) when theologians have always aimed to affirm both the unique divinity and full humanity of Christ. As an aside, Epperly’s critique of intelligent design theory (93) fails to recognize that ID is an ally in the process quest to restore final causes in our explanation of the natural world (96). This skewed presentation is doubly unfortunate given that many of the desiderata that Epperly mentions which presumably pave the way to process theology (including an emphasis upon relationship, community, ethics, and environmental responsibility) can be secured from within the confines of more traditional and orthodox theological constructions. 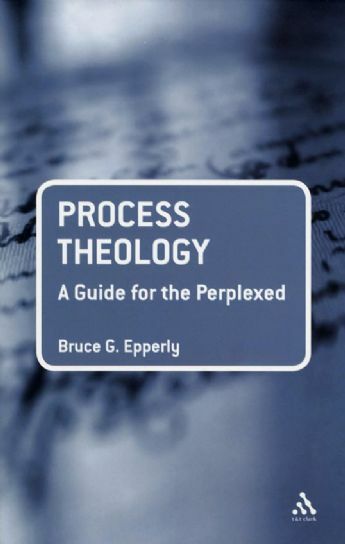 As a result, while Epperly succeeds in providing an accurate and winsome presentation of process theology, the results are not so felicitous for non-process perspectives. This review originally appeared in Scottish Journal of Theology.